We designed and built this installation for the Robin Collective. 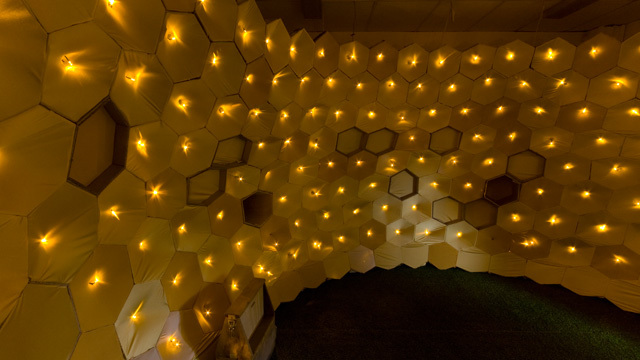 It consisted of 350 hexagonal cardboard frames that formed a double curvature oval space. The doorway was integrated into a temporary partition with a crawl-in entrance.